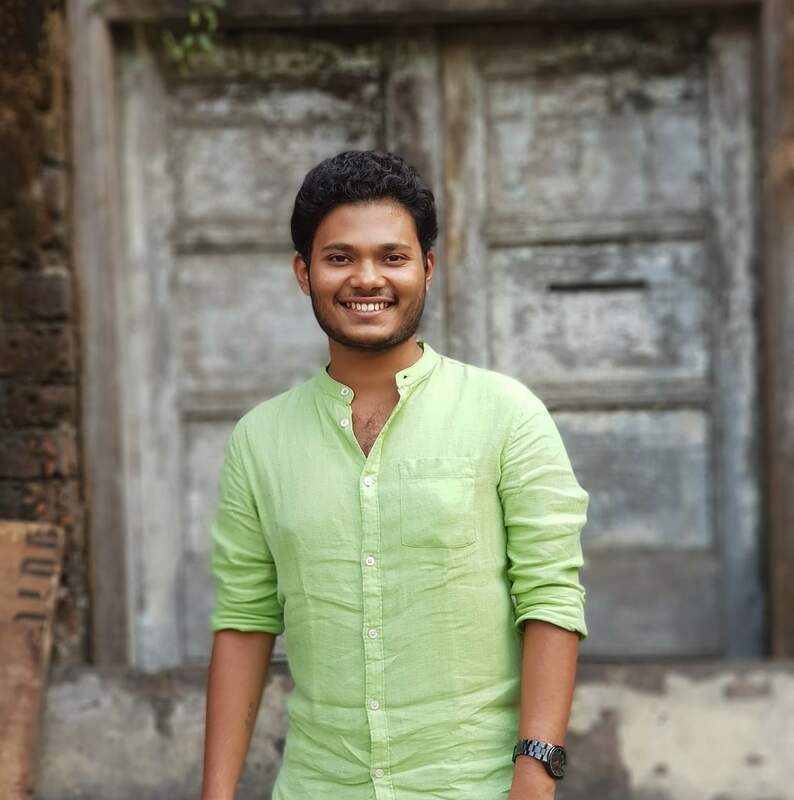 Ankit Dasgupta is a 24-year-old gay individual from Mumbai. 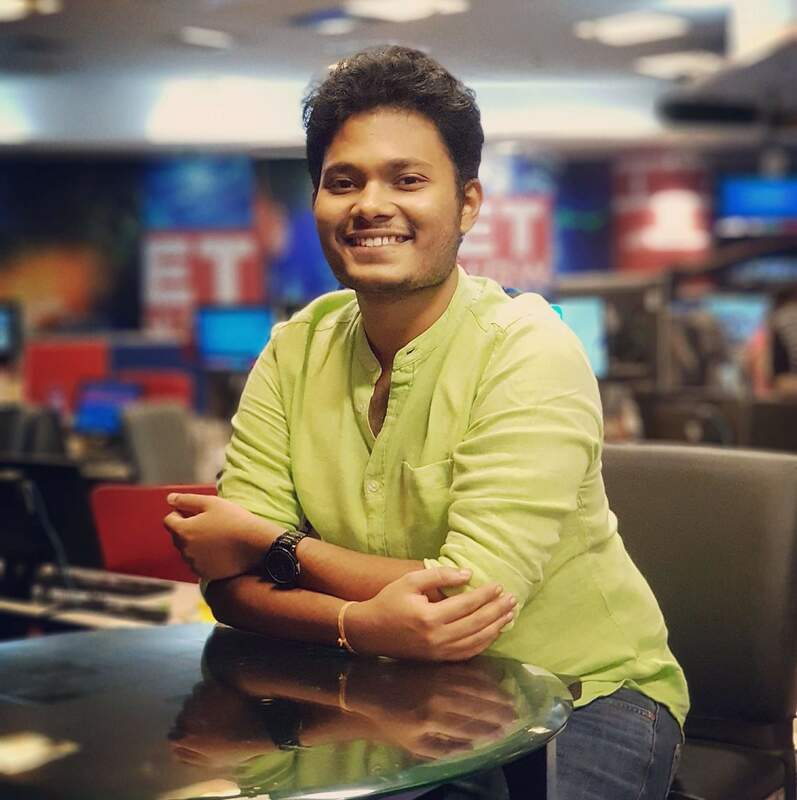 He works as a Social Media Manager and a Television Strategist at Mirror Now (Times Network). He is often referred as the social media wizard for Mirror Now. 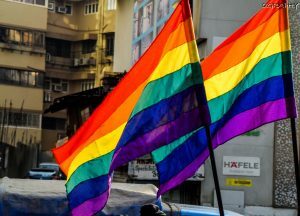 Every year during pride month, Yaariyan, the youth initiative of The Humsafar Trust conducts a flash-mob. It was during one of the rehearsals when I met him in person. He loves his job and is extremely happy to work with a queer inclusive workplace and this is his story. What do you handle in Mirror Now? At Mirror Now, I am trusted with monitoring, contributing to, filtering, measuring and otherwise guiding the Social Media presence of Mirror Now. It’s been a year since Mirror Now was launched. Mirror Now has been very vocal and storing about the amendment in Sec 377, how does it feel to be a part of it? I came out to Faye D’Souza, the Executive Editor of Mirror Now early 2017 when I read a story online where a man was sexually abused and I was heartbroken about it. That day, when I walked up to her cabin and asked her what she thought about homosexuality? She had a surprised look on her face for a second or two and her stance was very clear that Sec 377 needs to be amended and we need to fight for it, ‘together’. Mirror Now has always covered LGBT based stories. Faye has done many ‘The Urban Debate’ episodes (Flagship show of Mirror Now) on Section 377 too. 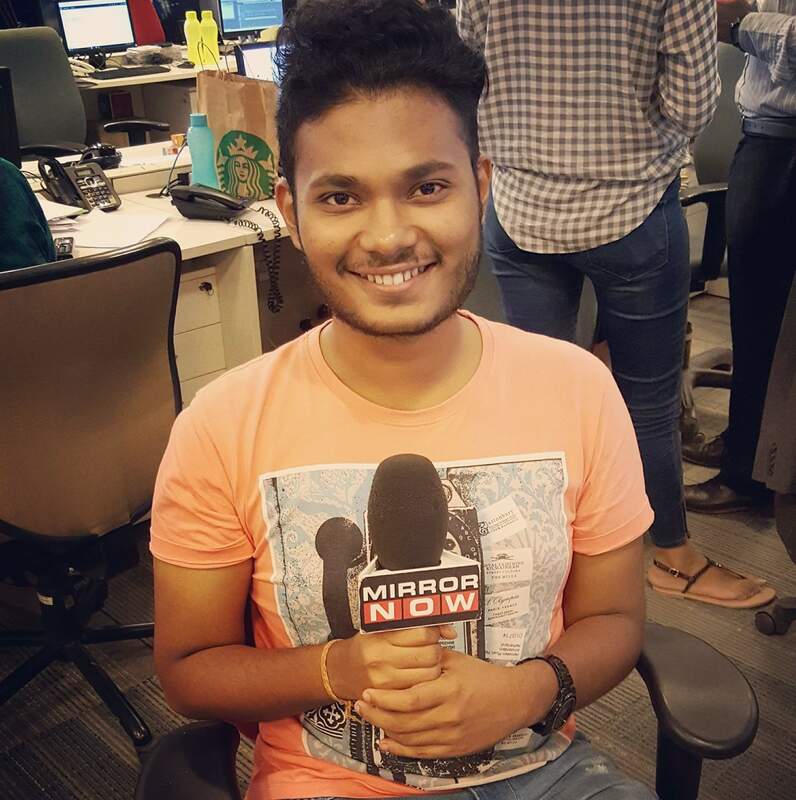 Feels great to be a part of Mirror Now, a young channel which has a lot to offer. 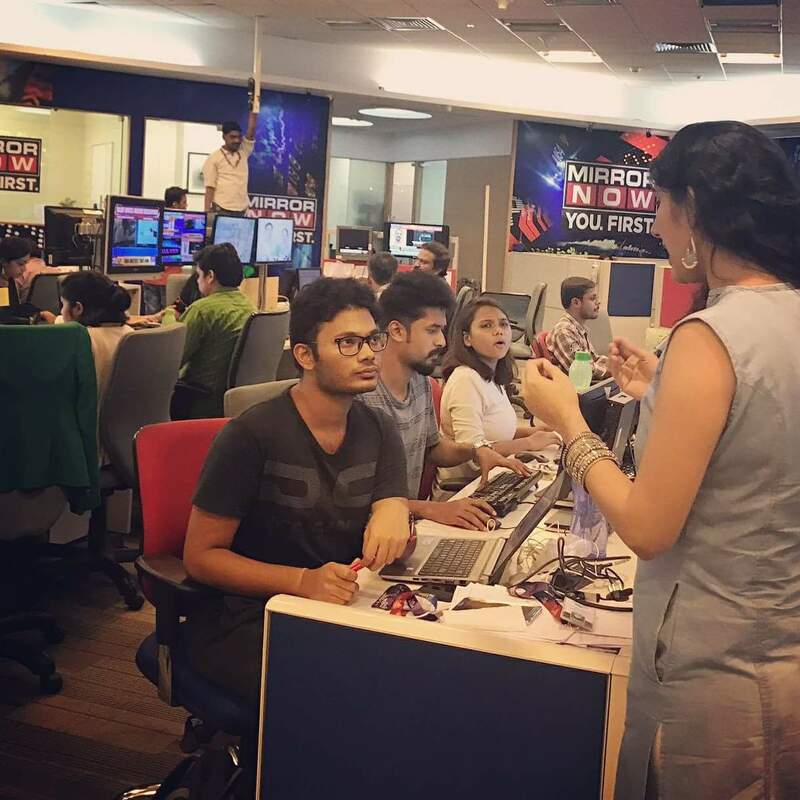 We work as a team; our team is filled with 20-year-olds, fresh out of Journalism college. They believe in – work hard, play hard. We have a lot of fun every day. As they say, young minds, young ideas! How are you contributing towards the LGBT movement being a part of Mirror Now? Earlier this year, being someone who has no specialization in the field of journalism, Faye and team Mirror Now gave me an opportunity to cover Mumbai Pride 2018 LIVE on the channel as well and that was an awesome experience. I was nervous, but I tried to do my best. I love the fact that I belong to a queer inclusive workplace. 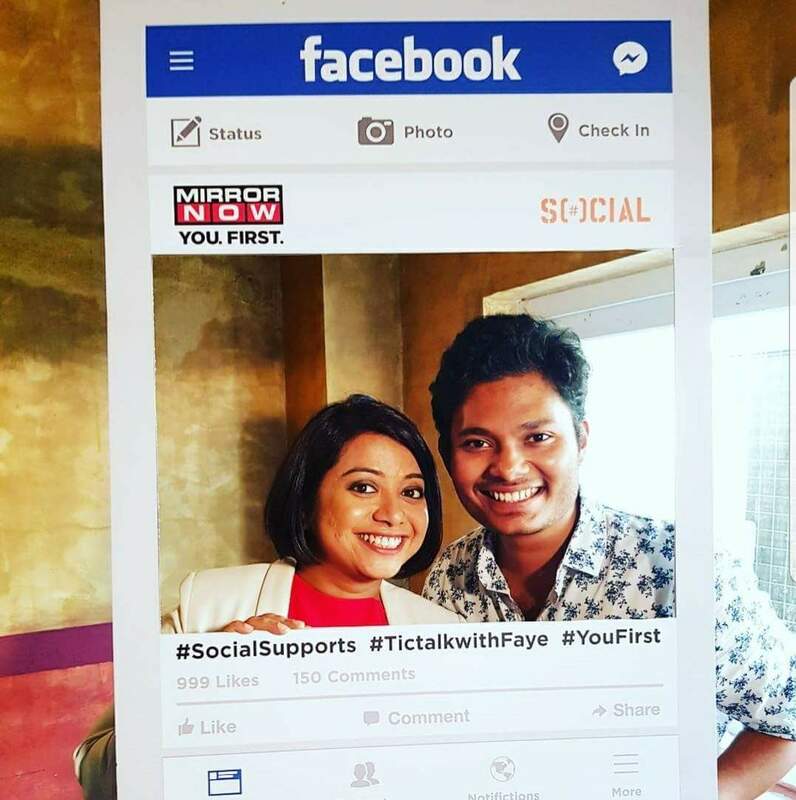 Earlier this year, Faye and team Mirror Now gave me an opportunity to cover Mumbai Pride 2018 LIVE. Do you think the media is becoming more sensitive when they write about individuals of the queer community? I don’t have a habit to keep tabs on other media outlets, but lately, the news industry is sensitive towards LGBTQIA stories. Do you think journalists are aware of queer terminologies when they report a queer-centric story? Haha, I love this question. I must say, NO! THEY DON’T, NOT EVERYONE. But hey, they are learning. They treat the story with respect and for any clarity, they ask or simple, GOOGLE! Or they just go with ‘LGBT community’ and in my opinion that’s fine. What can be done to make the media more sensitive about the usage of correct terminologies for LGBT individuals? Being a part of the LGBTQ community, we ourselves have many terminologies, LGBT, LGBTQ, LGBTQIA, LGBTQIA+. So, when it comes to media organisations, they are doing their best. They are sensitive, they do their research and are doing their best when covering/reporting LGBT based stories. Are you a part of any LGBT organizations? I am not a part of any LGBT organisation. Nor I intend to join one soon. I believe in the platform I have, to raise and bring LGBT stories to light. Smart, no? You had come out on a Facebook live video with your mom. How did that feel? The first person who I came out to was my mom back in 2015. I just knew I had to do this. I deep down knew, she will understand about me and my sexuality and that’s what happened. There was no drama. It was like, hey mom, I am gay! And she was, oh okay! I am proud of you what you are! Long hugs. End of story. 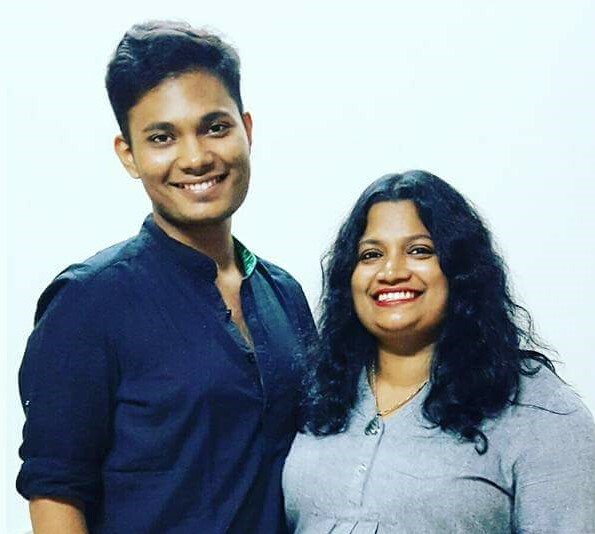 I wrote my coming out story to DNA in 2017. They picked it up and printed in their newspaper and website. DNA team didn’t inform me on what date it was going to be published. One fine morning, my WhatsApp was filled with congratulatory messages because they read the article in the newspaper. Hahaha, and that morning I was the news! After an overwhelming response, I decided to take the whole coming out experience LIVE on Facebook with my mom. She was nervous and so was I. My mom is a camera-shy woman, but off camera, she is strong headed and has strong opinions on what she thinks. One message for the LGBT community. “We’re here, we’re queer, get used to it” – may now sound aggressive and disruptive to our diplomatic, assimilating 2018 sensibilities, but it’s never been more relevant. Forget tolerance or acceptance: they’re outdated concepts that suggest we’ve something to be sorry for. Being ourselves is our right. One message for our allies. While a single ant can’t move the world, in unison a group of ants’ strength is monumental. So, thank you for supporting us in our fight for equality.